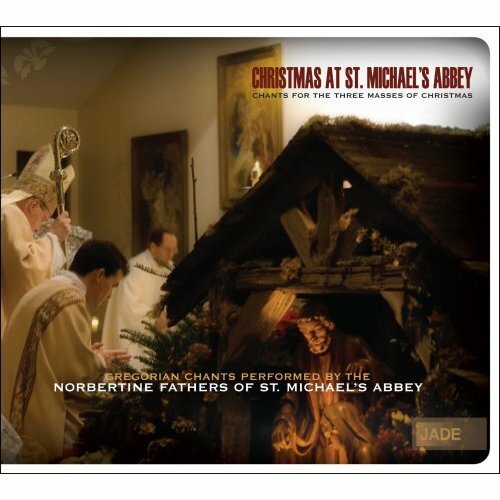 Those of you who are beginning to prepare for the Christmas Season may wish to recall the good Fathers of the Norbertine Abbey of St. Michael's in California put out a CD in the past year or two of the chants of the three Masses of Christmas. Evidently however, if you wish to listen to them on or after Christmas, you will need to order now so that they might arrive in time: Christmas at St. Michael's Abbey: Chants for the Three Masses of Christmas. Audio samples are available on the above site. 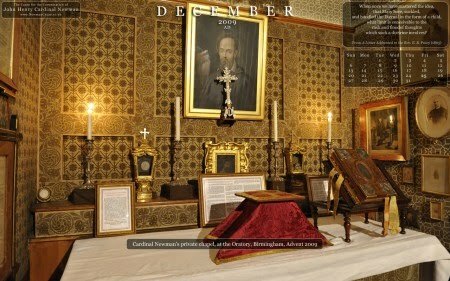 Some of you may be interested in the December desktop wallpaper calendar made available by the site for Newman's Cause; it has a particularly liturgical theme this month and gives a very nice view of Newman's private chapel. If this is of interest to you, you can download it here. This is also a great way to remind yourself to pray for the cause of Newman's canonization. Pope Benedict to Beatify John Henry Newman in England? The Pope is to waive his own rules so he can preside in person over the beatification of Cardinal John Henry Newman during a papal visit to Britain next year, according to sources close to the Vatican. 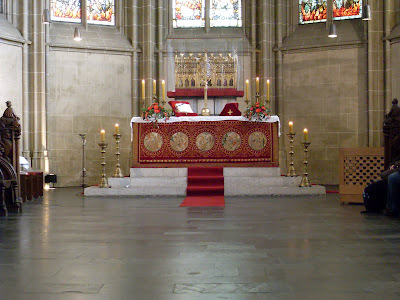 Today being the feast of St. Andrew the Apostle, I came across this very nice photograph of the altar of the church dedicated to the Apostle in Cologne (Germany), as it was prepared this morning for the feast day's Mass (click to enlarge). St. Andrew's, a beautiful late Romanesque church begun in the 12th century with later Gothic additions, beyond housing the tomb of St. Albert the Great and the relics of the Holy Maccabees, possesses the arm of St. Andrew, the most important relic of the Apostle north of the Alps. On this his feast day, Mass in the Ordinary Form was celebrated versus Deum and in Latin at the high altar in front of the reliquary of the Apostle. The altar is vested in a rather remarkable frontal. 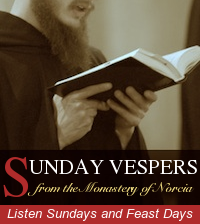 The NLM and the Benedictine Monastery of San Benedetto in Norcia, Italy (the birthplace of St. Benedict) are pleased to jointly announce today that, as we begin the liturgical year, so too has a new initiative begun which will make available recordings of festal and Sunday Vespers each and every Sunday as well as for important feast days of the liturgical year. The monks are, of course, already making available audio recordings of their daily Mass and this addition now makes Sung Vespers, in a Benedictine form of the Divine Office, available to a wider public, thus facilitating greater access to sung Sunday and Festal Vespers than has heretofore been available to the general Catholic public -- not, mind you, as it might be sung by a professional choir of course, but rather Vespers sung from within the intimacy of the monastic community and as part of the day-to-day exercise of the monastic horarium. 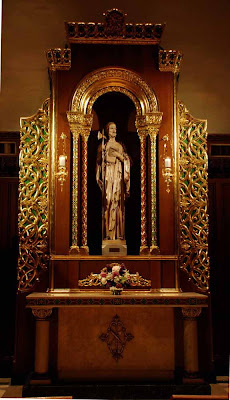 It is certainly my own hope that, in addition to providing people with the opportunity to listen in each week, on feast days, or with whatever frequency they may choose, this might further inspire people to take up the praying of the Divine Office as part of their own personal spiritual practice, and also encourage priests and parishes to make sung Sunday Vespers available as part of their own parish liturgical life -- both of which were encouraged by the Second Vatican Council. Vespers will be recorded and made available on their proper day, thus providing the opportunity to listen to the Office on its proper day. This will be particularly the case for North American time zones. Western European listeners are likely to see the recordings available sometime in the latter part of the evening. The NLM is providing a graphical link in the left sidebar which will take you to these recordings, while also providing a easy reminder of their availability, if not also a general reminder about the Divine Office. Other Catholic websites and blogs are more than welcome to place a copy of this graphic on their own sites in order that the Divine Office and Sunday Vespers might be promoted. (I would only ask that you upload this graphic to your own sites, rather than linking to the graphic here, which can cause bandwidth issues.) I would personally recommend you make this graphic linkable and link it to this page: "http://osbnorcia.org/?page_id=843. If help is needed in setting this up, please don't hesitate to contact me. Finally, I would make note that the monks are doing this based on the limited resources they have. If anyone is so inclined, I am sure they would benefit greatly from donations toward audio recording and publishing resources, or even those that might allow them to broadcast live. Do give it some consideration. In his first coming he was wrapped in swaddling clothes in the manger. In his second coming he is clothed with light as with a garment. In his first coming he bore the cross, despising its shame; he will come a second time in glory accompanied by the hosts of angels. 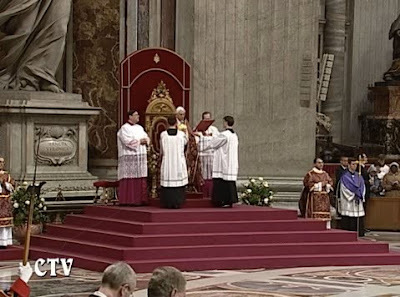 Those involved with Catholic liturgy focus heavily on what the people in the pews want, how they are responding to the music and homily, how they regard the various ceremonies, and whether and to what extent are they involved. The mantra at nearly every conference and teaching session on liturgy is that we must maintain a single minded focus on encouraging "full, active, conscious participation" – of the people who happen to be there at the time. 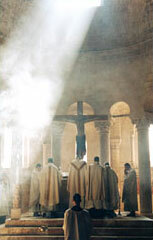 The focus is disproportionate to the extent that it draws attention away from the whole purpose of liturgy—to glorify God and celebrate sacred mysteries—and toward the well-being of the community, and, further, it invites a kind of hubris that we are manufacturing liturgy rather than receiving it as a gift that we have the responsibility to treasure and hand on to the next generation. But here I would like to focus on a more mundane problem associated with an exclusive focus on the people in the pews. 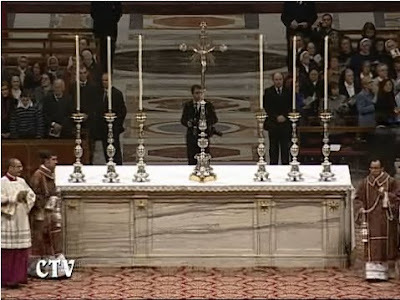 It forgets that sizeable number of Catholics who are not in the pews. It keeps us thinking only about the visible and the seen people who warm the pews rather than the invisible and unseen people who do not attend at all. 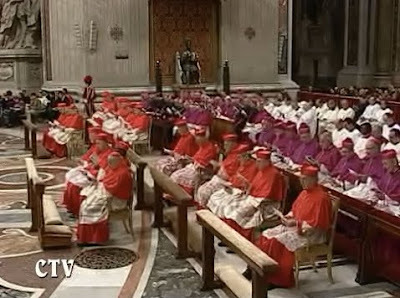 In fact, as compared with those who attend faithfully, there might be a larger number of Catholics who are not in the pews in our parishes but who should be. What are we doing for them? How can they be drawn back? These questions alone are not the kinds of issues that parishes like to think about. I can recall some years ago attending a parish council meeting where people were reading through a report on demographic trends in my town and how they were affecting parish needs. The entire report was based on the existing membership rolls and how they had changed and how they were likely to change in the future at current rates of growth. 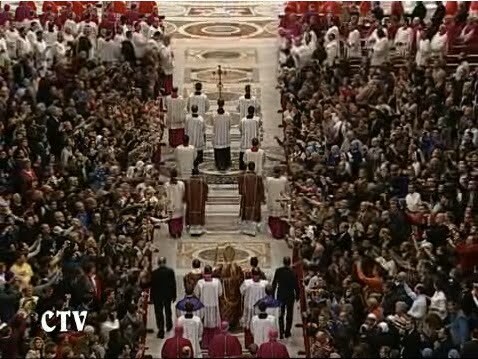 The entire focus was on those who come to Mass now, without the slightest concern giving to the likely equal number of Catholics in the community who do not come to Mass, to say nothing of the vast numbers who have been drawn to other forms of worship. I raised the point. There was a long period of confused silence. Then the meeting continued as before. If I were a mind reader, I suspect that most people present were thinking something along the lines of: "that's an interesting issue but it has nothing to do with us. We are the community. We can't do anything about those unknown and unseen people who do not wish to be part of our community. Can we please move on with this meeting without any more of these distractions involving abstractions?" Still, it is about time that we consider the fate of those many millions who have been dropped from the rolls as they decades have moved on. 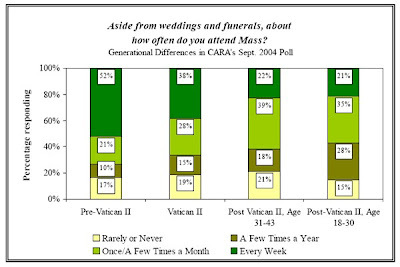 In the 1950s, 3 out of 4 Catholics attended Mass every week. The estimates range between 70 and 80 percent. Today, the numbers have nearly flipped: only 1 in 3 Catholics attend Mass every week. When we look at this big picture we see a devastating picture of collapse. The line on the graph isn't shaped like fall off a cliff but rather one long slide, year after year. It occurred quickly in terms of the whole history of Christianity but slowly in terms of our own lives, slowly enough, in any case, that we are tempted not to bother with thinking about it. Breaking the data down further, the pictures becomes at once more revealing and more frightening. 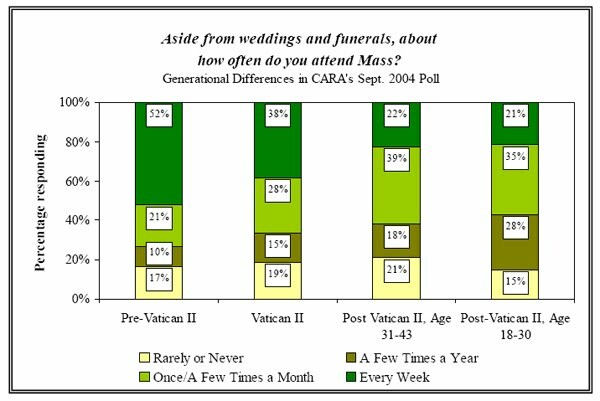 Of those with experience before the Second Vatican Council, 52 percent currently attend Mass weekly – which means that we lost half and retained half of these people. That sounds grim but compare to those whose first experience at Mass follow the Council: the figure is 38 percent. The worst demographic of all are those age 18 to 30. Only 21 percent attend weekly. Interesting isn't it? The upheaval of the 1960s and 1970s were justified largely based on the desperate need of young people for a liturgical experience that meets their needs and speaks to a new generation. Apparently the "new generation" didn't much like what they heard, because they left in droves. Meanwhile, the strongest attachments to the Catholic Church can be observed among those raised in a liturgical environment widely decried for its failure to connect to people and its propensity to foster alienation. These are the survivors who cling to the memorized portions of the Baltimore Catechism for sustenance in difficult times. Knowing nothing other than these facts, one can easily conclude that the conventional wisdom is complete wrong and that the truth is the reverse of what we've been told. 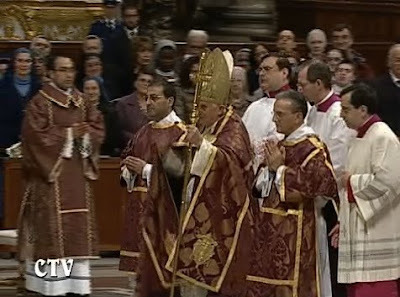 The hip and happening style at Mass backfired and emptied the Church. It is the "bad old days" that instilled deeper attachments. The proper direction for change, then, is to recover what we lost. Ah, but hold on a moment, say the professional sociologists of the Catholic Church: this is too obvious a conclusion. A more sophisticated understanding must take account of the dramatic demographic changes including immigration that occurred, the massive cultural shifts that took place, and the new philosophy of public life that changed the way people perceive the truth value of Christian worship. 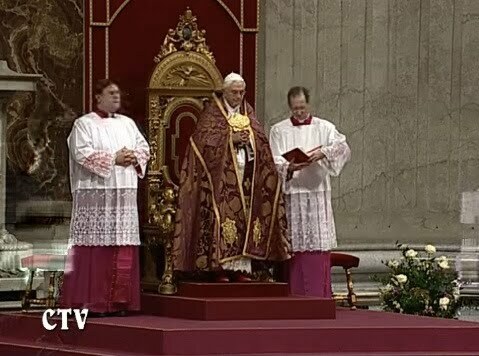 In fact, they say, the trends would look even worse if the liturgy had not adapted itself to new times. Counterfactuals such as this can be the source of endless debates precisely because there is no way to prove who is correct here. But it strikes me as painfully disingenuous to discount the negative effects of a revolution in ritual. If you change the ritual, even in ways that people think they might like, it still has the effect of breaking the spell and severing psychological and sociological attachments. If a ritual can be so easily changed by a committee or two and the stroke of a pen, the message it conveys is that the ritual really isn't as important as it was made out to be. The persistence of ritual through the ages is crucial important in every culture but even more so in older cultures such as Spain and Italy where Mass attendance is much lower than it is in the United States. The changes that followed the Council here had the effect of discrediting the liturgical experience itself. 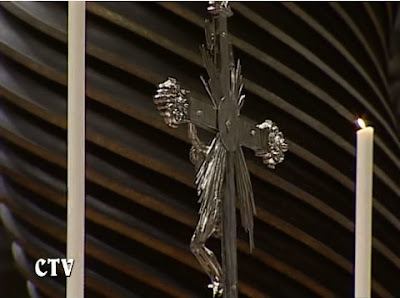 People still keep the rituals in their homes and in their private lives but what takes place at Sunday Mass is disconnected in important ways from what many generations had known. The other cultural factors that people cite as causative forces are mere precipitating events: once the ritual was changed, people more easily gave into the secular cultural trends. Back in the United States, most people have encountered many who left the Church after the Council. I've had several dozen or so conversations over the years with people who have left and sought out the reasons. 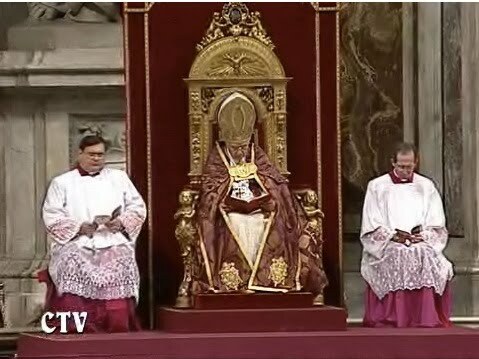 Yes, these people are glad to dismiss Catholic teaching on moral and doctrinal issues, but what stands out time and again are the tales of how the ghastly aesthetic trends of the time invaded their Churches. They tell of guitar strummers and faux-folk music and bongos and beat poets and hippy bands and, later, saccharine sweety-sweet tunes and felt banners, liturgical dancers, flag wavers, and bare-footed incense bowl carriers and the like. At some point, these people just couldn't take it anymore. Having left, it becomes easier to manufacture reasons why the Catholics are wrong on just about everything else from morality to priestly celibacy to the role of the Pope and the financial corruption of the whole apparatus. They read the novels of Dan Brown and think: I was right to leave! At this point, people are just looking for good excuses to justify their unwillingness to be subjected week after week to Woodstock Lite. Now let us turn to the question of how we are going to get these people back. I'm not under any illusions here. Turning the clock back to recreate the world of 1958 is not going to suddenly create a massive influx into the Catholic Church. Even a widespread proliferation of extraordinary form Masses is not a magic bullet to cause the pews to fill up next week. A widespread availability of the old form of Mass is probably the best step that can be taken but it is not the whole answer. 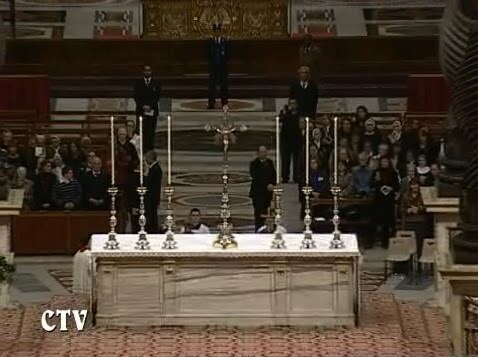 What needs to happen is a consistent embrace of solemnity and mystery in the liturgy, whether it in the ordinary or extraordinary form, week after week, backed by strong educational programs and a parish culture that is not shy to embrace the glories and beauties of the faith and its capacity for creating lasting social bonds. As for immigrant cultures, the liturgy must be purged of its "bourgeois America" (or middleclass Portland and Chicago) quality that became its de facto cultural identity in the 1980s and 1990s; this is profoundly alienating to many in a multicultural world. Even the best environment here is not going to cause an influx but it does mean that when the unseen people, the people not in the pews, happen to come to the parish for a wedding or funeral or Christmas or Easter, they experience something lovely and interesting, something that piques their curiosity and entices the aesthetic imagination. They might still object to Catholic teaching and the institutions but they might feel a greater draw to return in the future. This is the way to minister to the people not in the pews: assist in creating and sustaining an environment that offers something radically different from what can be found anywhere in the secular world. Then the Catholics have something to offer, something of value that only the faith can offer. The parable of the pearl of great price tells of a man who found a pearl of immense value, and once he did, he sold everything else in order to buy it. So it is in our parish liturgy: only once it is discovered as a thing of immense value will people once again be willing to make the sacrifice to own it again and make it a permanent part of their lives. The New York Times has permitted a Catholic thinker to explain to its readers the backdrop and prospects for the return of the preconciliar Mass structure. 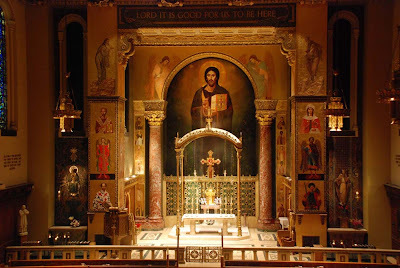 Yet whether the morning modern Mass in English or the evening traditional Mass in Latin, one common thread which holds both forms of the Mass together in this parish is the attention given to the beauty of each Sunday liturgy. Both are celebrated with all the "tools of the sacred" and supervised by knowledgeable masters of ceremonies. 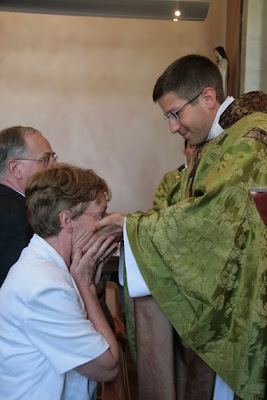 Their role is to ensure that the priest¬-celebrant can focus without distraction on what he was ordained to do - to offer up the sacrifice of the Mass for himself and those entrusted to his care. Interestingly, after Mass, increasingly parishioners will comment ''that was a beautiful Mass", rather than "I enjoyed your sermon". the "gravitational attraction" between ancient and modem rites is evident by families comfortable in each of these forms of these sacred liturgies. By attending both, many have come to learn and appreciate the unique language of the sacred in every celebration. 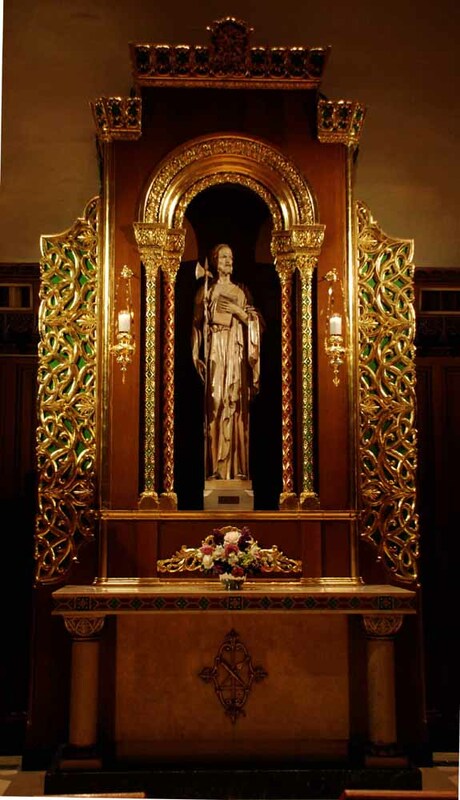 Though some who read this forum adhere in principle and practice to the EF alone, hearts opened with charity will not mistake what is happening here: once unfathomable, and still unthinkable in many dioceses in this country, what St. Margaret's and Father Wallace are doing is truly remarkable - they are living the ideal and at the same time living "within one's means" in the post Summorum world - all else being equal. From the site of the Newman Cause, comes this meditation from an 1838 sermon where "Newman explains that Christian worship should prepare us on earth for meeting Christ our Judge." We are in the final stages of editing the Winter issue of Sacred Music, which focuses on orchestral Masses and Haydn's work in particular. One name keeps coming forward in the citations: H.C. Robbins. Here is a musicologist who worked hard to make the work of several composers more widely known and better understood. So it makes me sad to see an announcement today that he just died at the age of 83. This issue of Sacred Music would not be possible in its existing and wonderful form were it not for his work. It is a reminder to us all that great specialization can do wonderful things for the world. Hush that anguished hymn you're humming: / "Come, O Come, Emmanuel." / Trumpet Christmas! Fix his coming / firmly at "The First Nowell." He's already come in glory! / Why plead, "Savior, come at last"? / Let's talk Christmas! Tell a story / safely in the distant past. Drown out John the Baptist. Edit / out "Prepare! Make straight the way!" / Cut to Christmas! Buy on credit. / Square things up another day. 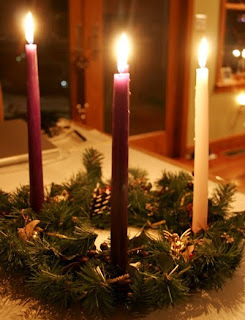 Advent's dreary. 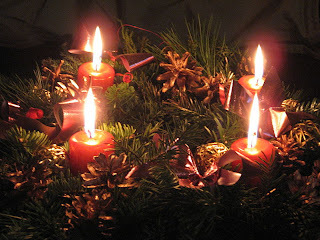 Let's start living / Christmas now! Wear red and green! / While we're at it, skip Thanksgiving! / Deck the halls at Halloween! 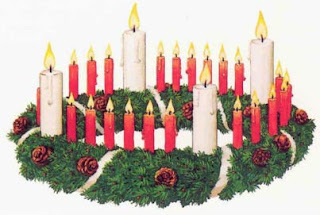 Then, when the Incarnate Verb / overnight becomes passé, / carry Christmas to the curb. / Pack the Prince of Peace away. With the First Vespers of Sunday today (which are celebrated on Saturday evening of course), the Roman rite welcomes the season of Advent; the beginning of the liturgical year and the preparation for the Nativity of Our Lord Jesus Christ. 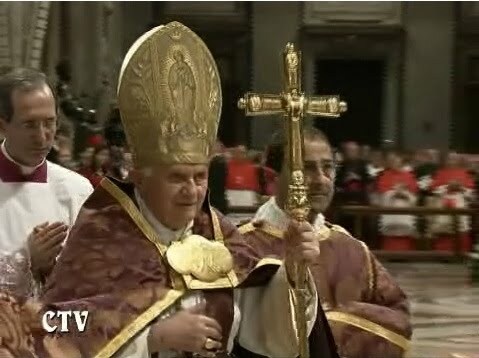 The NLM has made it something of a tradition to begin this liturgical season, and the liturgical year itself, by providing coverage of the First Vespers of Advent with Pope Benedict XVI. We are pleased to once again provide this coverage for you today. "Deus in adjutorium meum intende. R. Domine, ad adjuvandum me festina." 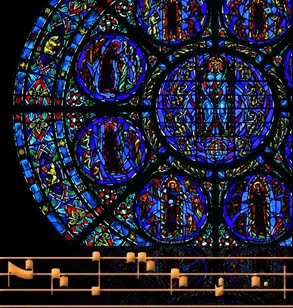 Only a few years ago, it seemed like very few Catholic musicians knew anything of the book called the Kyriale - a portion of the song book of the Roman Rite that collects the chants of the ordinary of the Mass: Kyrie, Gloria, Credo, Sanctus, Agnus. Today, there is a growing consciousness that this is the book that solves that great dilemma that every parish deals with: what "Mass setting should we use?" As with most great questions and issues like this, it turns out that the Church had the answer all along. It's been like a treasure buried in the field for all these years. The Roman Rite actually provides 18 full settings of the sung ordinary and many additional pieces to be used throughout the year. The first Kyriale went online about two years ago, and the development in online tools has been speedy and impressive. So I'm pleased to tell you about St. Antoine Daniel Latin Ordinaries. The site has audios of each chant along with editions with and without accompaniment, and many options to print by the chant or by the entire setting. This entire site is designed to teach and provide, an outstanding service of Corpus Christi Watershed. Please click through and have a look, and send this to your music director. This is an extraordinarily effective tool for evangelizing. Tomorrow Pope Benedict will celebrate Pontifical Vespers as the first Vespers of the first Sunday of Advent, which also marks the beginning of the new liturgical year. Similar in shape to the ferula of Pius IX so far in use this can be considered to all intents and purposes the pastoral staff of Benedict XVI. Like the ferula of Bl. Pius IX in 1877, the new staff is donated to the Pontiff by the Circolo San Pietro, a Roman association founded in 1869 in support of the papacy. It is slightly smaller and lighter than the ferula of Bl. Pius IX. 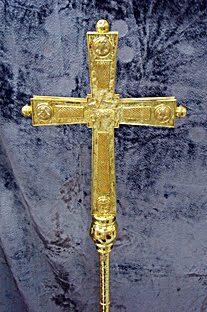 On the front side of the new ferula is depicted in the centre the Lamb of God, and on the four points of the cross, the symbols of the four Evangelists. The arms of the cross are decorated in a net-like pattern which evokes the fisherman whose successor Pope Benedict is. On the backside there is in the centre the Chi-Rho, the monogram of Christ, and on the four points of the cross, four Fathers of Occident and Orient, Augustine and Ambrose, Athanasius and John Chrysostom, the same who also carry Bernini's cathedra. On the top of the shaft is the coat of arms of Pope Benedict XVI. 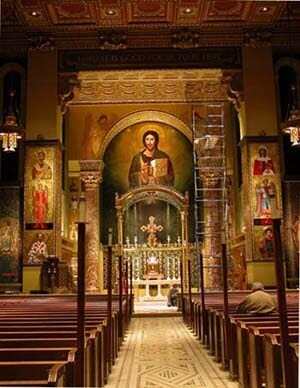 The Church of Our Saviour in New York City, whose pastor is the well known and respected author and speaker, Fr. 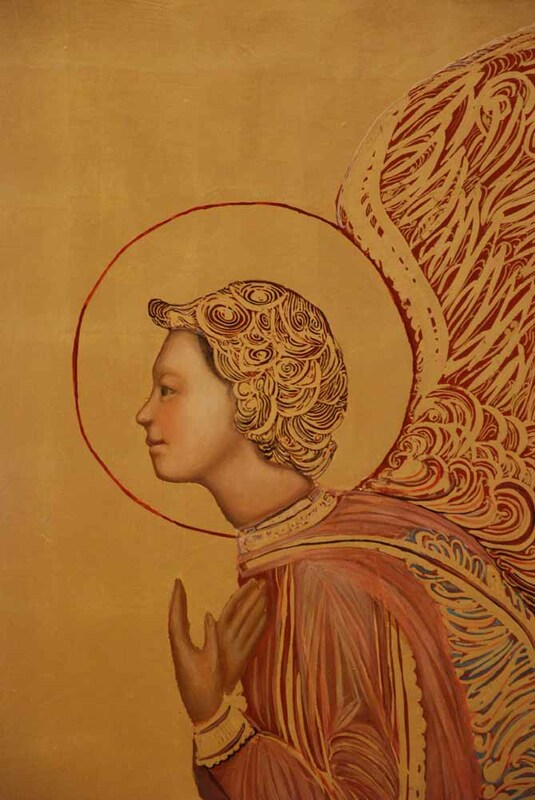 George William Rutler, has recently completed some further works of sacred art within their parish. These were completed for the occasion of the 50th anniversary of the dedication of the church. The church itself was completed in 1959, but many of its interior details were not completed because of finances. 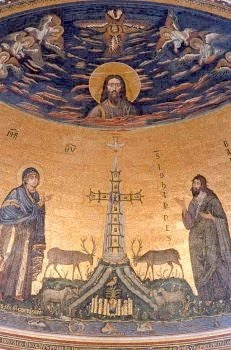 Images of Moses and Elijah were added by artist Ken Woo, based after the Transfiguration icon by Theophanes the Greek. 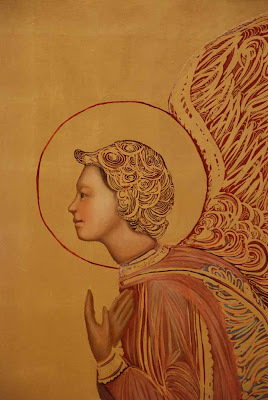 Images of two angels have also been added. For the first ever there is now an edition of the Lectionarium according to the so called ‘1962 edition’, i.e. 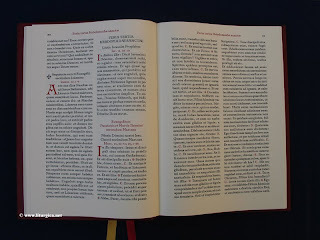 according to the rubrics set forth by the Motu Proprio "Rubricarum Instructum" of Bl. Pope John XXIII on July 25th 1960. 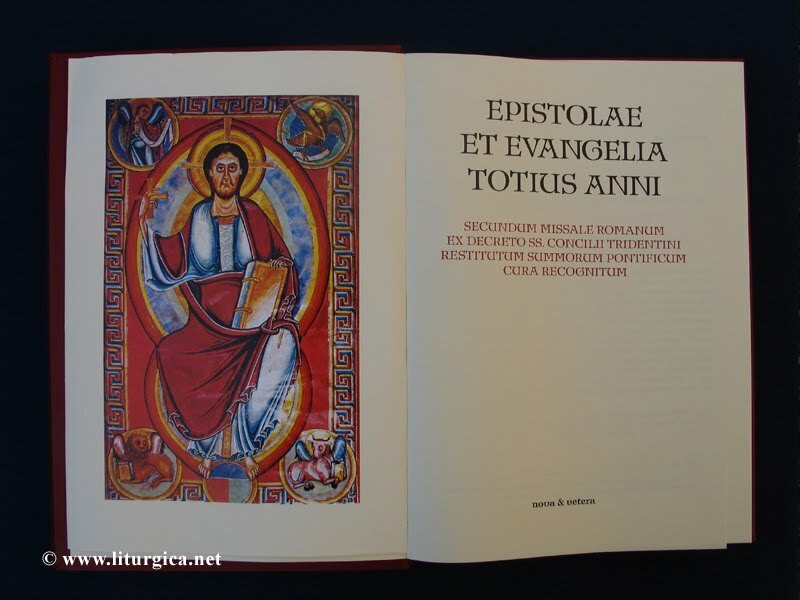 This new edition complies with the canon law and regulations and was granted the Imprimatur according to can. 826 II CIC by his Excellency Bishop Gregor Maria Hanke, O.S.B. 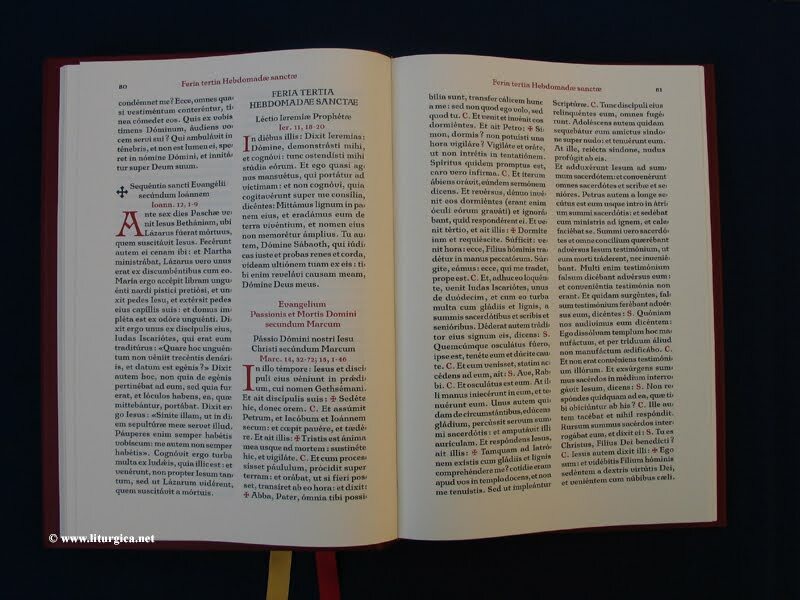 Allthough some new editions of the Missale Romanum were edited at the beginning of the 1960's, because of the quickly changing circumstances there has never been an edition of a ‘1962-Lectionarium’ until today. 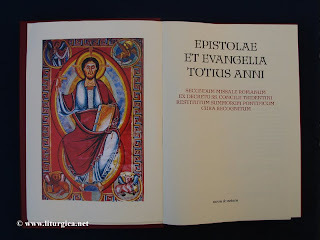 We are therefore very happy to close this gap and cordially invite you to find plenty of information on the following pages about the new work that not only follows the good old traditions of editing liturgical books but rivals the best editions of the 20th century. The book is priced at 350 EUR and is ready to ship immediately. Talking with William Mahrt, CMAA president, he says that his iPhone is made worth it by virtue of his Liber Pro, the Liber Usualis reduced to one application for $14. I completely agree. To have this amazing book at your fingertips is invaluable. The creator did an outstanding job. I would say that it is even easier to use than the real thing: perhaps not to sing with in liturgy but this too would be possible in a pinch. I'm pleased to say that the version used for this app is the one scanned and posted by Musicasacra.com - and there we have the case for open source. One never knows where the next innovation is going to come from. As readers know, one of my goals is to make the chant books of the Dominican Order accessible to the public in PDF format for download. Through the work of Fr. Gregory Schnakenberg, O.P., a contributor to Dominican Liturgy, we can now make available the last, 1965, edition of the Officium Hebdomadae Sanctae iuxta Ritum Ordinis Praedicatorum, that issued by order of the Master of the Order Aniceto Fernandez. It is now found linked for download on the left side bar of ﻿Dominican Liturgy under Dominican Chant Books. We already had made available the 1965 Regulae Chantus, and hope eventually to have available the 1965 edition of the Completorium. This edition is of considerable historical interest. It integrated the selection of chants published in 1959 to bring the Dominican liturgy of Holy Week into conformity with the Roman Rite. In addition, this version of Holy Week abandoned the traditional Dominican notation and imposed on our music the Solesmes method of execution and its system of interpretive marks. Those interested in how this revision affected the music may the chants in this book with those in the older versions, as exemplified by the 1927 edition also available on the side bar at Dominican Liturgy. A press release from Thomas More College in Merrimack, New Hampshire, today. 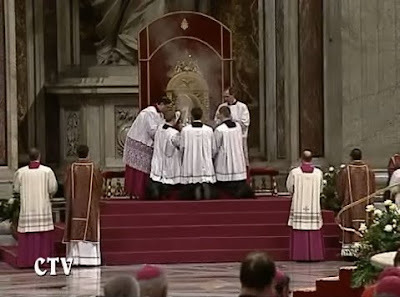 Do note how they are incorporating the sacred liturgy, and in particular the Divine Office, into their programme. 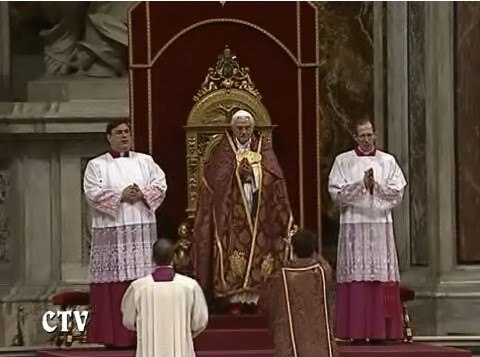 (Merrimack, New Hampshire) — In his November 18 general audience, Pope Benedict offered a sophisticated capsule history of the Christian architecture, focusing on Gothic cathedrals such as Chartres and Notre Dame. More than that, Pope Benedict explained their deeper religious meaning—in terms that are strikingly similar to the themes that govern the Way of Beauty program at Thomas More College. The College's Artist-in-Residence David Clayton, greeted the papal address with glee. 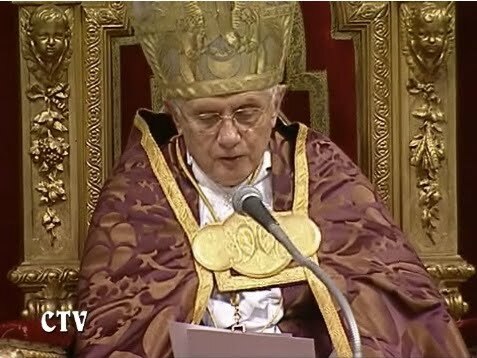 “These statements by Pope Benedict vindicate our approach—which perhaps shouldn't surprise me, since I've based so much of what we do on the pope's own writings,” said Clayton. Clayton will discuss the Pope’s remarks and Thomas More College’s Way of Beauty Program on Air Maria Radio on Monday, December 1, 2009 at 3:00PM. Clayton will be featured on the program, “Sacred Treasures with Kathy Duggan,” which can be heard live at www.radiomaria.us. 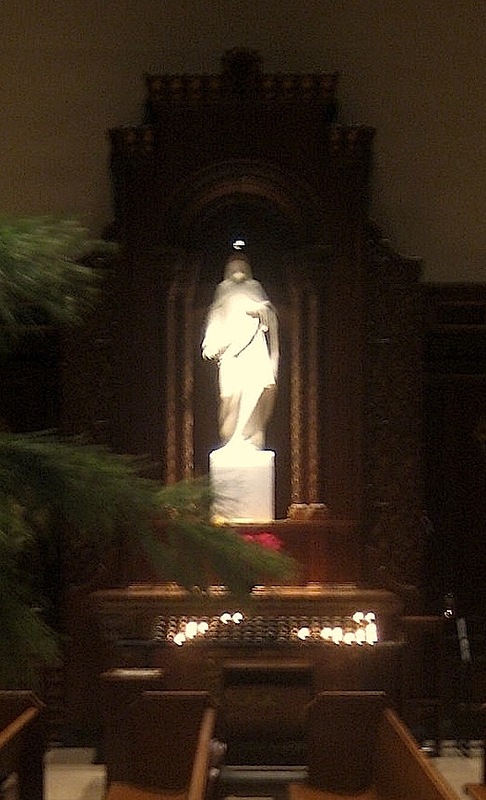 Clayton said that Thomas More College’s required Way of Beauty sequence teaches students the history, meaning, and practice of Christian art in several genres. The program is designed to help recreate among students the integrated Catholic sensibility that gave birth to such wonders as the Gothic cathedrals. Clayton also trains students to create sacred art. A graduate of Oxford University, Clayton studied the theology and technique of Eastern Christian art from a Russian master, and the classical techniques of realist painting once practiced by the likes of Velasquez at an exclusive atelier in Florence. Now he offers training in those traditions to interested students—and to visitors who wish to take part in Thomas More College’s Way of Beauty summer program. Recently, an icon created by Clayton was blessed in the College chapel as part of the school's consecration to the Sacred Heart. The selection from St. Augustine chosen by Pope Benedict in his address is one that Clayton has long pondered himself. St. Augustine wrote, “Ask the beauty of the earth, ask the beauty of the sea, ask the beauty of the ample and diffused air. Ask the beauty of heaven, ask the order of the stars, ask the sun, which with its splendor brightens the day; ask the moon, which with its clarity moderates the darkness of night. Ask the beasts that move in the water, that walk on the earth, that fly in the air: souls that hide, bodies that show themselves; the visible that lets itself be guided, the invisible that guides. Ask them! All will answer you: Look at us, we are beautiful! Their beauty makes them known. 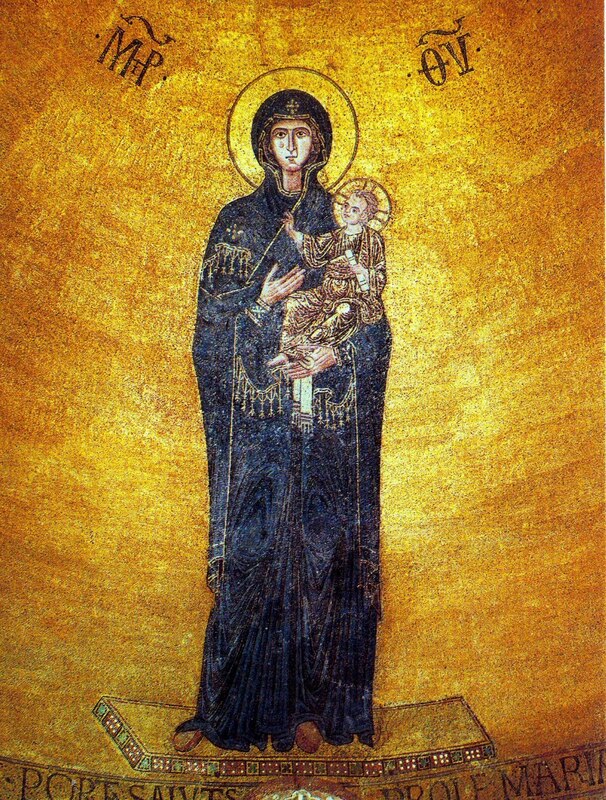 This mutable beauty, who has created it if not Immutable Beauty?” (Sermo CCXLI, 2: PL 38, 1134). Echoing the Pope, Clayton continued, “The traditional quadrivium is essentially the study of pattern, harmony, symmetry and order in nature and mathematics, viewed as a reflection of the Divine Order—which is best reflected in the rhythms and cycles of the liturgy.” To this end, all Thomas More College freshmen learn how to chant the office of Lauds. “This is precisely the style of art history emphasized in the Way of Beauty classes,” Clayton said. Oxford University-based theologian and editor Statford Caldecott acclaims the Way of Beauty course as “one of the most original features of the revised curriculum at Thomas More College. At the same time, it is one of the most traditional, in the best sense of the word. A recovery of such a vital element in the Liberal Arts is long overdue,” Caldecott said. One who completed Clayton's training in icon-painting, recent graduate Joe Ellis (Class of 2009), adds: “Learning the history of iconography fit perfectly into our education as modeled after the medieval monastic college. The icon class was the perfect combination of all of our major studies: it incorporated the mathematics of Euclid, the philosophy of the early Church, the literature of the Gospels, and the inquiry into the psyche of both the artists and their subjects,” he said. We have made mention of this community before on at least two occasions, but one of our readers recently sent us a note about them, and it struck me that we perhaps have never directly featured them as a community proper. 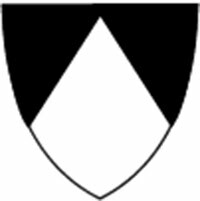 The community I am speaking of is the Communauté Saint-Martin (Community of St. Martin) based out of France, who operate within a reform of the reform context. Here is some information about them from the English edition of their website. 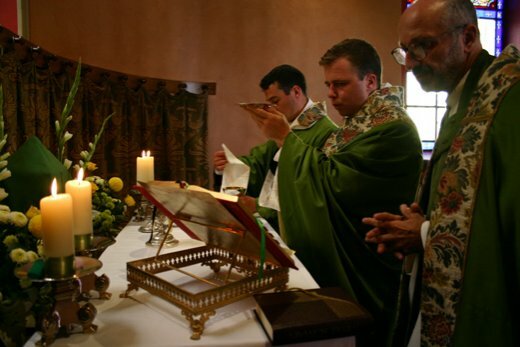 The Community of St. Martin is a public clerical association of secular priests and deacons committing themselves to live their apostolate through a common life style in the spirit of brotherhood. The dioceses of the universal Church benefit from this bonding. It was founded in 1976 by Rev. Father Jean-François Guérin (1929-2005), a priest from the diocese of Tours, France. 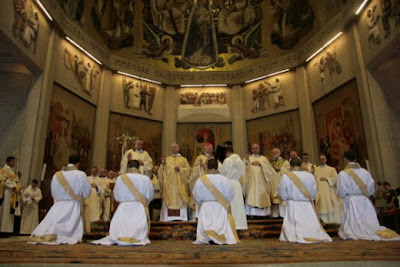 The creation was preceded by the after-council "revival", which oriented its efforts in the development of a priestly secular life and training. The Community of St. Martin was first established in Voltri (archdiocese of Genoa, Italy), under the paternal protection of Cardinal Giuseppe Siri, who granted the first canonical recognition in 1979. 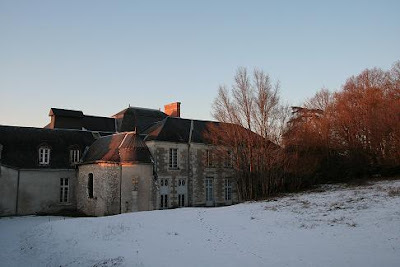 In 1993, the Community of St. Martin left Genoa and established its Home of training and Mother House in Candé-sur-Beuvron, near Blois, in the Loire valley (200 km / 125 miles from Paris). 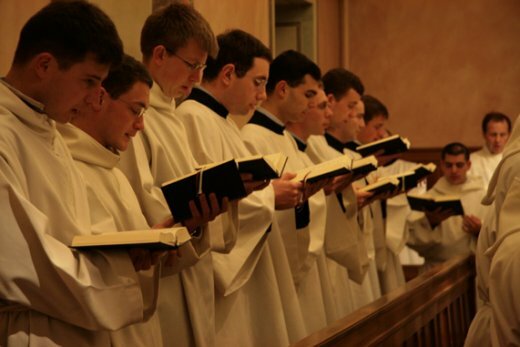 The training of the seminarians is provided by the priests of the Community themselves. 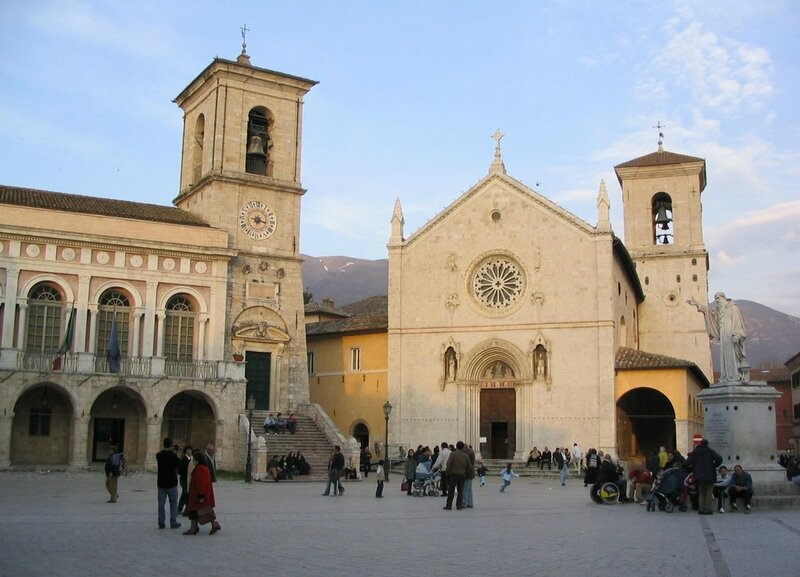 In 2000, the Community of St. Martin was granted by the Holy See the statute of Clerical Public Association of Pontifical Right, depending on the Congregation for the Clergy. Our School of theology has been affiliated since 2007 to the Pontifical University of Lateran in Rome. 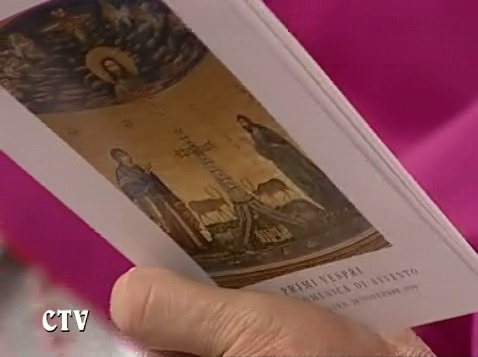 Lastly, the statutes of the Community were confirmed by the Holy See in 2008. By this way, Rev. Father Jean-Marie Le Gall (photo), first successor of the founder, elected Moderator-General in 2004, became Ordinary of the Community, thus having the ability to call to orders and to incardinate into the Community. 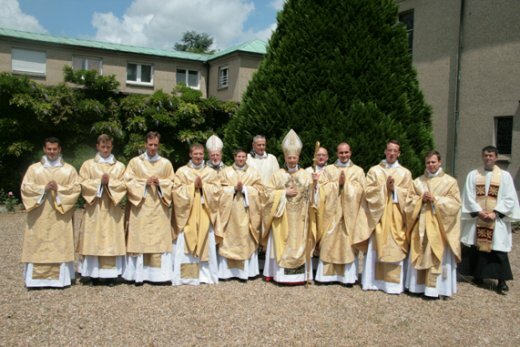 Today, the community of St. Martin has about sixty priests and deacons and about forty seminarians having no particular assignment except the Home of Training. Upon the request of bishops the community accepts various apostolic missions such as those in parishes, confessors in schools, chaplans in boarding schools, at shrines and other religious institutions (see map of our apostolic missions). Communal life and mobility are the two main characteristics of "martinian" life set within a precisely defined framework which has been established by the conventions signed in agreement with the bishops. The priests are sent in groups of at least three, to live and work together in a profound spiritual and common brotherhood. The pastoral solidarity in the service of souls is the main and most important interaction in their collaboration with their office. Their presence establishes a deep family brotherhood that is strongly felt in the community. This fraternal life takes its roots in their daily prayers, especially in regards to the Divine Office performed every day together including the daily "Community Holy Mass" and through day to day life in which the community meals have a particular place. 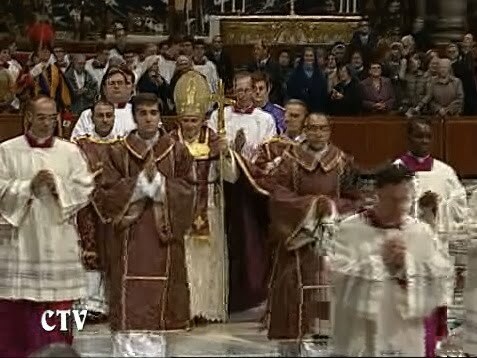 The priests are available for different missions, moving from one diocese to another or even from one country to another. 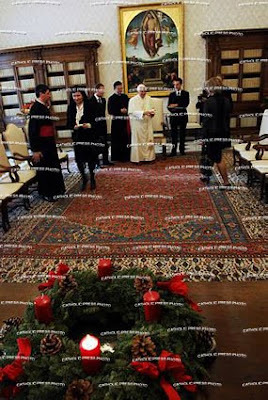 Along with the different ministries that the Community of St. Martin has been entrusted with in several dioceses of France, members were selected by the Holy See for more specific services in Rome or in Apostolic Nunciatures. In 2006, the community accepted the charge of an important parish in Cuba. The community may be most widely known because of its publication of the Les Heures Grégoriennes (The Gregorian Hours) of which more information is available off their website. 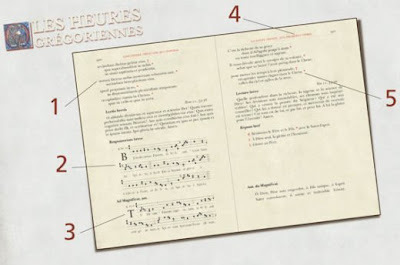 In brief, Les Heures Grégoriennes is a French-Latin publication "for parishes and communities who want to celebrate the modern Liturgy of the Hours in Latin...". It includes "the complete edition of all the Gregorian melodies for the texts of the day hours of the Liturgia Horarum. This book is simply the implementation of the requests of the Holy Father and the directives of Vatican II. The Council, in the liturgy constitution Sacrosanctum Concilium, ‘canonized’ a musical repertoire as the proper chant of the Roman Rite for the first time in its history. The Council went on to order the books of Gregorian Chant be revised and new editions prepared. This is exactly what the Community of Saint Martin has done in the midst of our Holy Father Benedict XVI’s encouragement of the blossoming of a ‘new liturgical movement.’ We should mention that those responsible for this project have requested approval (editio “iuxta typicam”) from the Sacred Congregation for Divine Worship, and the Prefect of the Congregation, Francis Cardinal Arinze, has given his very enthusiastic endorsement with a wish that everyone will make good use of this work. 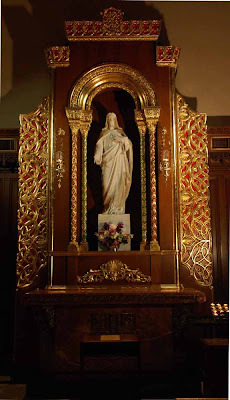 A few photos from the Community of St. Martin will give you some liturgical sense of them. As an aside, for those of our readers interested in vestments and all that is associated with them, I thought I would point out a small detail that I noticed while browsing the community's site, and which I personally found of some interest -- indeed, I didn't expect to run into it. Namely, in the Community's photos from their 2009 Ordinations, I noted with interest their use of apparels on both alb and amice. I have often felt that these work extremely well with the fuller flowing gothic forms of chasubles, be they conical or the truncated gothic we are more accustomed to seeing today.